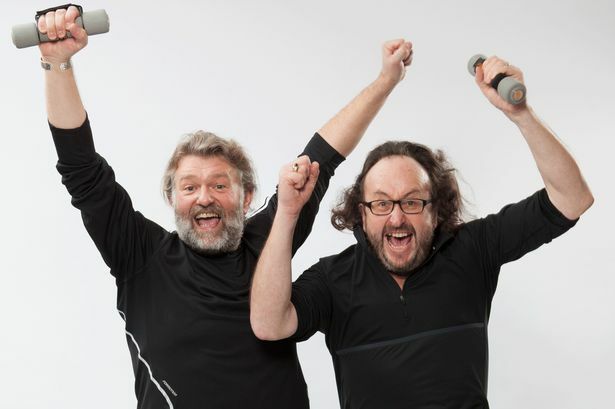 The Hairy Bikers share their top rules for staying in shape this summer with the Evening Chronicle. Summer is the perfect opportunity to get in shape for your summer holidays, and the best time of year to kick a football around with the kids, or head to the park and play some tennis. It doesn’t matter what you choose – just get out in the fresh air, be active, have some fun, and burn those extra calories at the same time! 1. Moderation is key – Don’t deny yourself a beer or two whilst watching the football, but remember, you’ll need to make up for it later! It’s really important not to kick yourself because you’ve enjoyed something naughty – but it is important to find a way to balance it out. 2. Find a buddy – Exercise is always more fun with a partner. If you don’t have a mate or partner willing to join you, take the dog for a jog instead – or borrow one! 3. Find something that works – There’s an activity out there to suit everyone; from bowling, to walking, to swimming, to dancing, to cycling. Find something that works for you. 4. Don’t take it too seriously – Believe it or not, you can be active with a sense of humour. 5. Losing weight isn’t rocket science – Eat smarter, be more active, and pretty soon you’re going to start seeing a difference. 1. Dancing – My time on Strictly was amazing; I learnt to love dancing and the weight dropped off. Get out with your partner or mates and find a local dance club or head to the disco. Coordination isn’t important – it’s the moving that matters! 2. Cycling – We both cycled lots when we started our weight loss journey, and I still get out on the bike whenever I can. You can fill your lungs and burn loads of calories in a short space of time. 1. Walk whenever possible – If you can avoid jumping into the car to pop down to the shops, do it! 2. Head for your garden or local park – Find a low wall or bench, and use your own weight to do some standing press ups. You’ll really start to notice the difference in your arms – and it’s dead easy to do on your own! 3. Easy exercises – When you’re making a cuppa, try doing some squats and press lifts with a four pint of milk.